Who else is wearing a Stowa today??? Let's see them! Thread: Who else is wearing a Stowa today??? Let's see them! Re: Who else is wearing a Stowa today??? Let's see them! Is it just me, can't see anything in Coler's thread ?! No Mike its not just you , cause I got nothin here from Mr. Coler! a tired smile, Renisin, kwcross and 6 others like this. 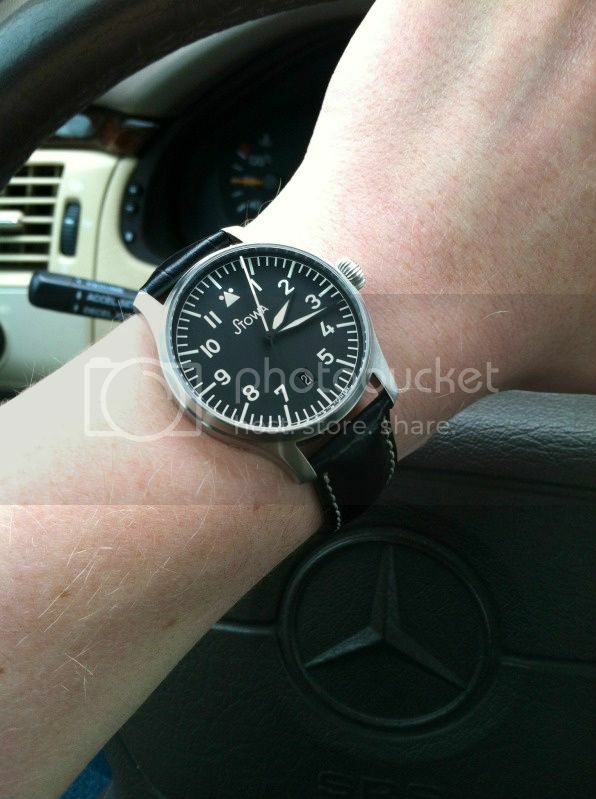 Lover of Damasko & Stowa. I make leather stuff; search for "One Star Leather Goods" and you'll find me. It finally came! Yes it was totally worth the wait. Just beautiful. Renisin, Pawel_Korab, Plälzer and 1 others like this. Renisin, Pawel_Korab and dosei like this. Big congrats! It is stunning! And this is why STOWA has no competition!!! I love this watch, just can't decide which side I prefer. Plälzer, Renisin, Skilfing and 4 others like this. Renisin, freight dog, dosei and 1 others like this. Renisin, Skilfing, dosei and 4 others like this.